It didn't take very long for both of them to get comfortable at this party - they're lucky the dragon elves like them so much. I've updated the Extras page to add drawings I made in the last two weeks - Go check it out! 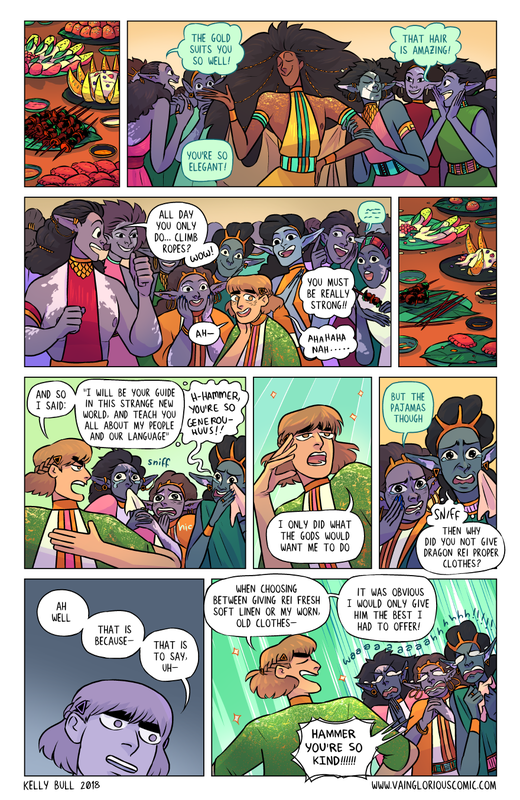 We're almost at the end of the chapter (and near the end of my buffer haha oh no ((do you know how long it took to draw those 2 food panels - too long, I'll tell you that much))) Hope you enjoy this party!